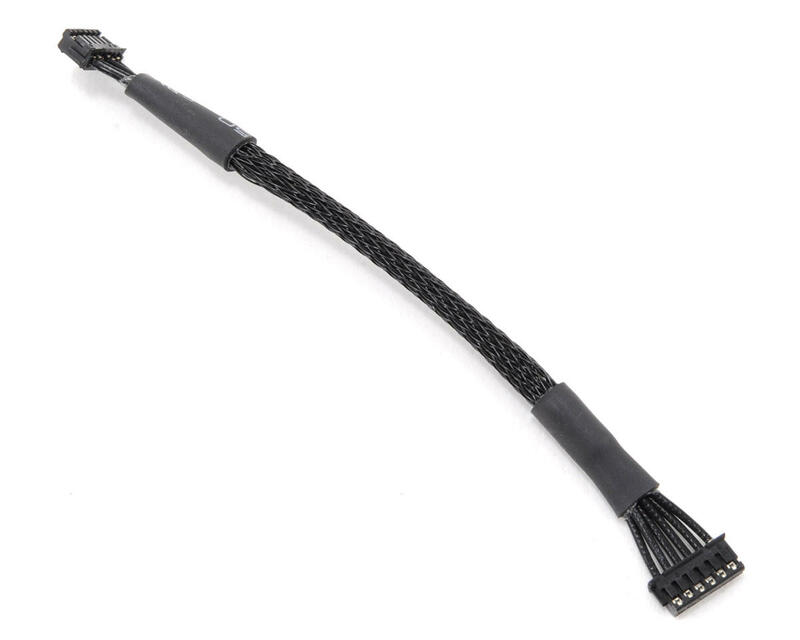 This is a ProTek R/C Braided Brushless Motor Sensor Cable. This sensor cable is intended for use with any sensor-based brushless system that uses a replaceable sensor wire harness. 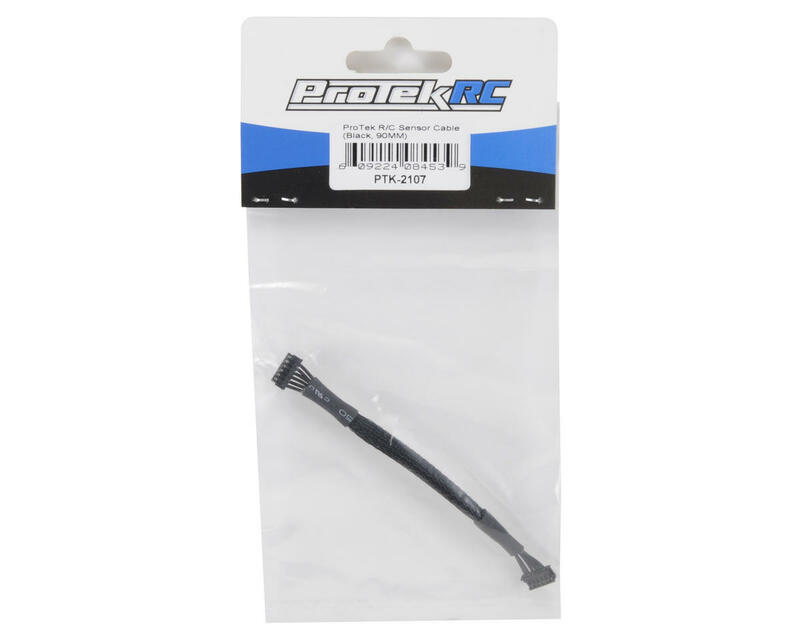 The ProTek R/C sensor cable features flexible silicone wire shielding on each of the six sensor wires, with a black braided nylon protective sheath surrounding the sensor wires. Additionally, the braided sheath is shrink wrapped at each end providing complete protection to the cable. This protection and flexibility leads to a free moving and shock absorbing sensor cable while ensuring smooth, consistent and reliable data transfer between your ESC and motor. Choose from between 90mm and 300mm lengths.